Hello dreamers! 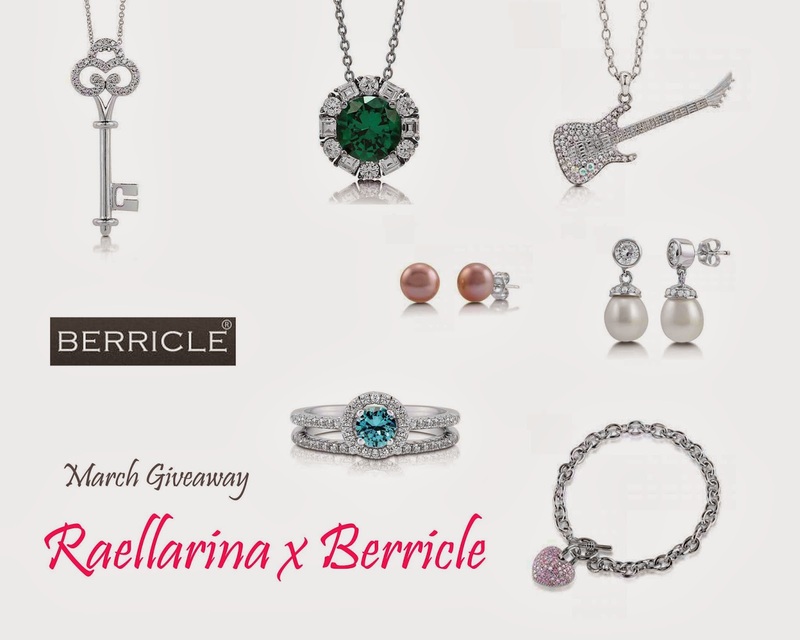 :) For this month's giveaway, I'll be giving away a 30% coupon care of Berricle! woohoo! BERRICLE.com is an online jewelry purveyor founded in 2006 with the mission to become the premier web-based destination for shoppers seeking affordable yet elegant sterling silver, gold and Cubic Zirconia jewelry of the highest craftsmanship and outstanding customer service. Formerly known as NewOutlet.com, company website was changed to BERRICLE.com in 2011. **This is open to US residents only. **This giveaway is valid from March 24, 2014 to March 31, 2014, so you have one week to join and gather as much entry as possible. **Don't cheat! I double check everything! **Please don't follow and unfollow accounts afterwards because that is just super rude! I'm not entering (so you don't have to waste time checking) but every piece of jewelry in the images above is beautiful! I love the key necklace, the green stone surrounded by Cubic Zirconias, the guitar necklace, the light blue stone in the silver ring with Cubic Zirconias and the heart bracelet. They're all lovely.